Surfing FB, and i'm so happened saw my friend's post his bladder photo at some where, some shop. 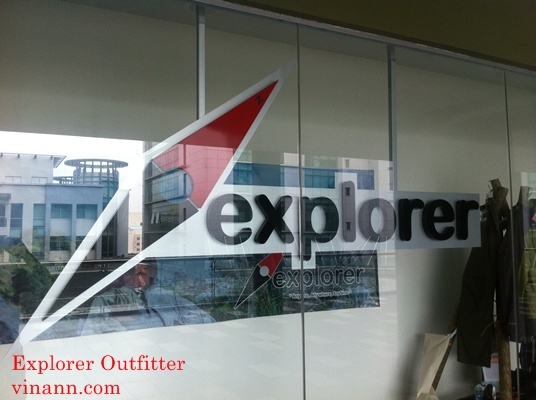 Later i got to know it's Explorer Outfitter at Publika, Solaris Dutamas. Then... then... i saw this! headlamps ! 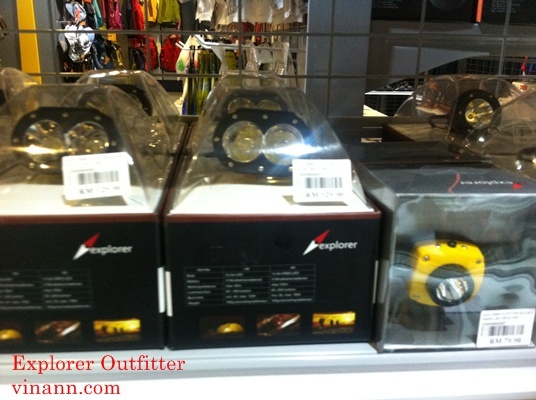 Currently few models of headlamps on the shelf display. Wow... it's value for money for the amount of Lumen from the Explorer brand CREE LED headlamp! It's simply can match with big branded headlamp. Too bad, I'm just got mine from one of the top brand of headlamp recently! Slapping myself, why i no discover earlier! As i'm got my own headlamp, i no further pursue to see the details of those headlamp, as my headlamp are not comparable to these. I asked the staff, what's is this "Explorer" brand on this headlamp? I never hear of this brand.... 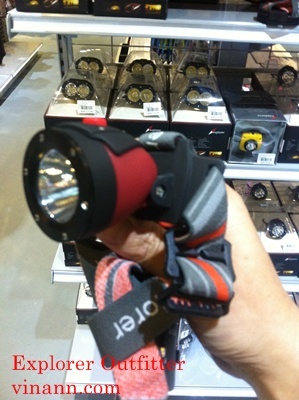 He replied: "Explorer" is in-house self research brand... Generally, these headlamps are good for trail running with amount of lumens offered with the durability of battery power! i can sense it's really good in-house brand which know what's consumer want! For those who planning to get new headlamp, it's worth to discover yourself on the headlamps! 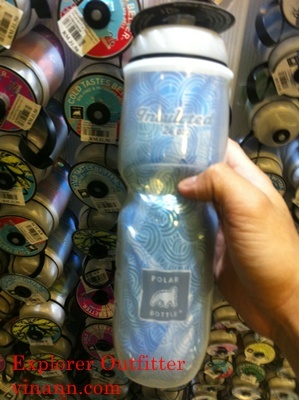 As cyclist, i know this water bottle! Some cyclist are using it! I'm been thinking of getting one, but it's so expensive! Now they are selling at RRP RM49.90. 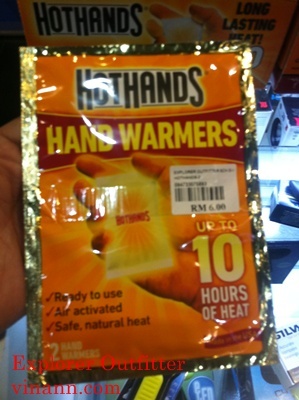 But here, at Explorer, they are having promotion, selling around RM30+++ ! Argh... very tempted to get it at that time... but i keep refuse ! Maybe when next time im here again, i will get it before promotion end ! Er... what is this thing! Really can get warm by shaking? Dont you thinks it's like some kind of magic thing? haha.... Guess, people around me hardly / never done any extreme hiking. Thus, never get to know this kind of products! Asked the staff on how it's work, and asking with dis-believed attitude, is this really work? After some explanation, okayla, i believe 50% first, have to ask Mr Google second opinion before believe 100%. This 1, I'm going to get it to test it out in cool weather trail running! Argh.. i wish i know this much much early too! If i know, i can bring some spare for my HK100 ! The staff told me, currently in store only have 40% of what they have now... meaning new products are adding each days, and there's also trail running related products too! Nothing much discovery other than 3 items above.